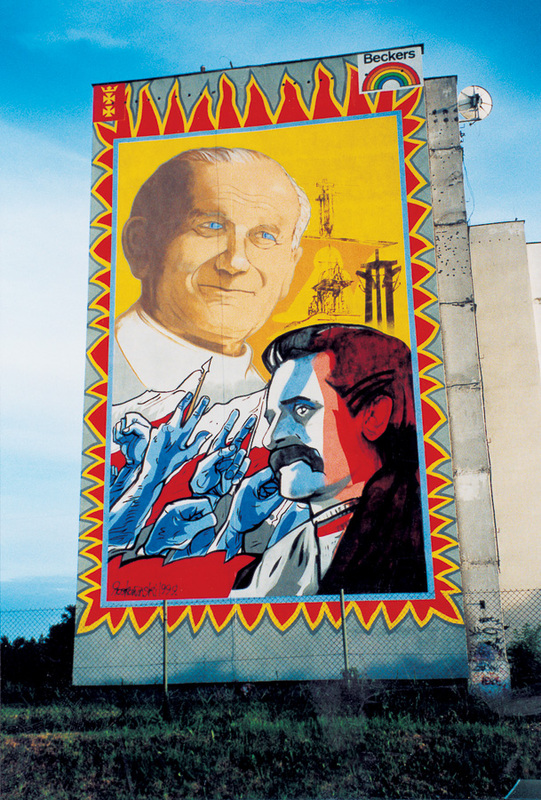 The mural was created in the very same part of the city where a mass was held as part of John Paul II’s third pilgrimage to Poland in 1987. The sketch of the papal altar designed by Marian Kołodziej echoes this event. The Pope, painted in a ‘devotional’ style, recalls the multiformat banners which decorated the uppermost walls of blocks during the papal mass. Wałęsa, however, has been done with the dynamism characteristic of Roskowiński and in sharp, comic lines. The motif of the mural was used by Roskowiński in 2012 on the wall of a block in Chișinău, Moldova. One of ten works painted as part of the festivities for Gdańsk’s millennium. The mural sums up the basic idea of the festival – to bring colour to the concrete space of tower blocks. Rafał Roskowiński has used the motif many times and his toucans can still be seen on Karolkowa Street in Warsaw. Fearing intervention by the local graffiti scene, Roskowiński anticipated the fact and left the lower part of the wall to Zaspa’s TKA crew. 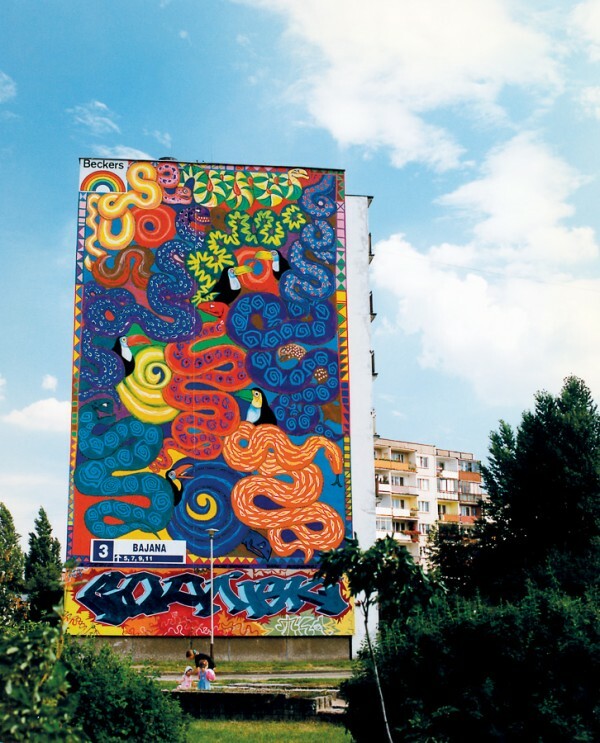 In line with the unwritten code, the “Gdańsk” graffiti was saved and still complements Roskowiński’s colourful mural. 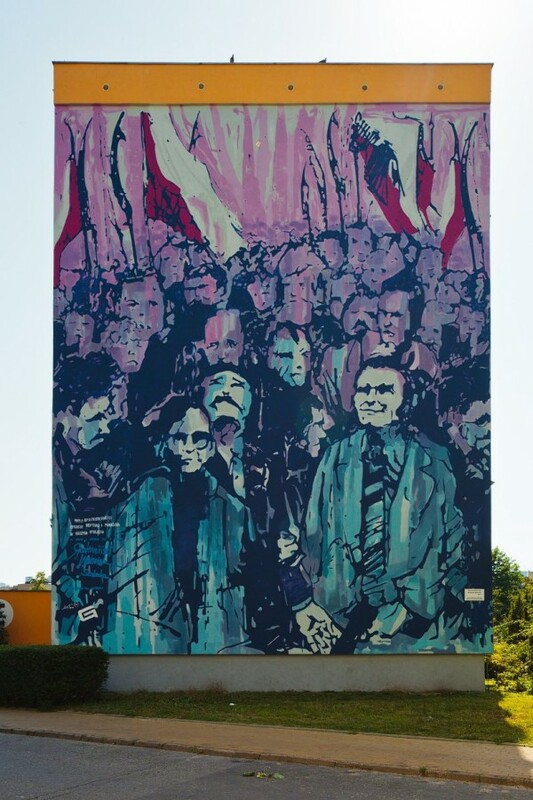 The mural was created as part of the celebrations for the Year of Miłosz and is based on a photograph by Janusz Kobyliński depicting a meeting between Czesław Miłosz with shipyard workers during his visit to Gdańsk in 1981. 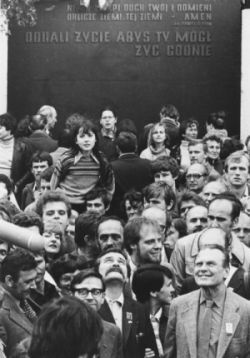 Miłosz is passing Lech Wałęsa a pistol and appears to be saying “Make a revolution”. Rafal Roskowiński. Precursor of mural art in Poland. Active in public space since the late 80's. In the 90's started painting large murals in Zaspa. Organized the first festival of monumental painting to celebrate the millennium of Gdansk in 1997. 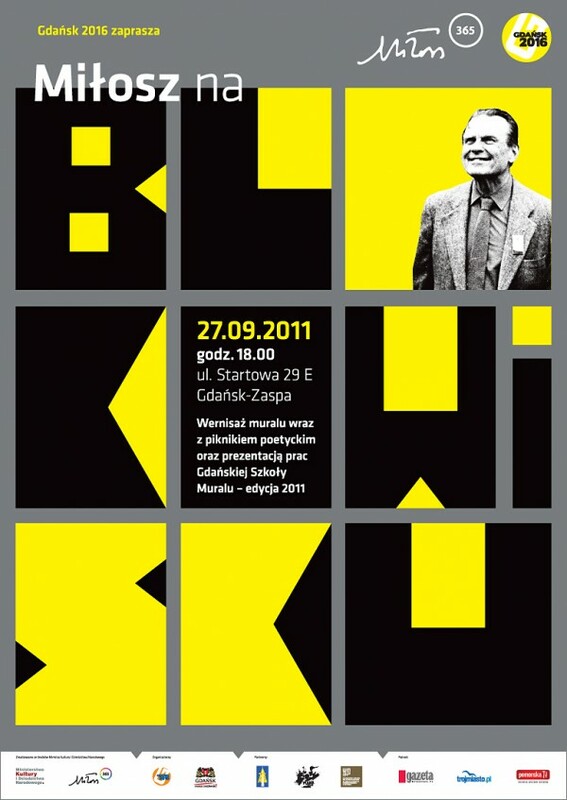 Founder and lecturer of the Gdansk School of Mural.